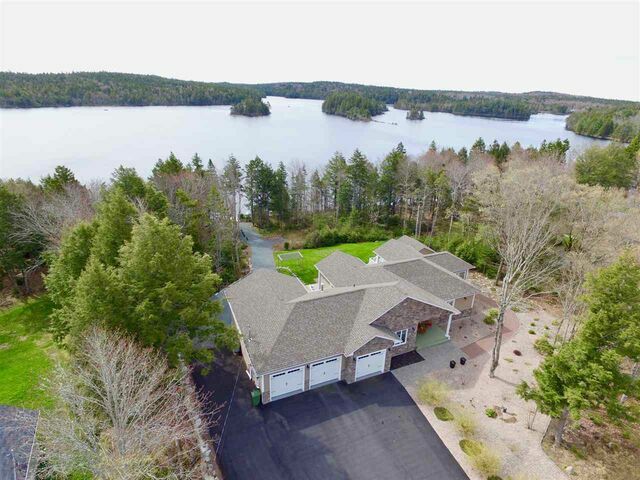 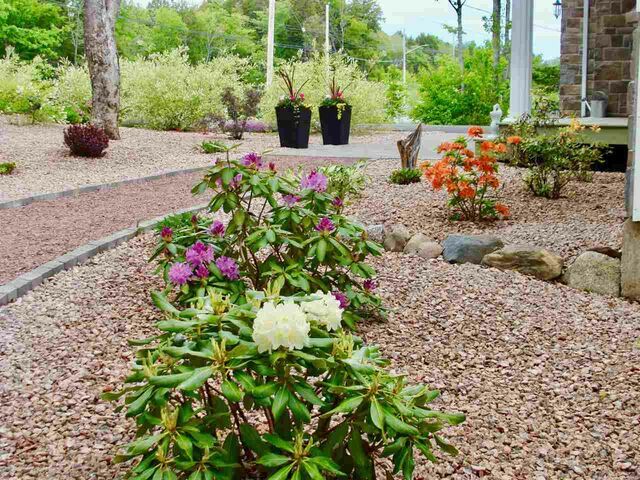 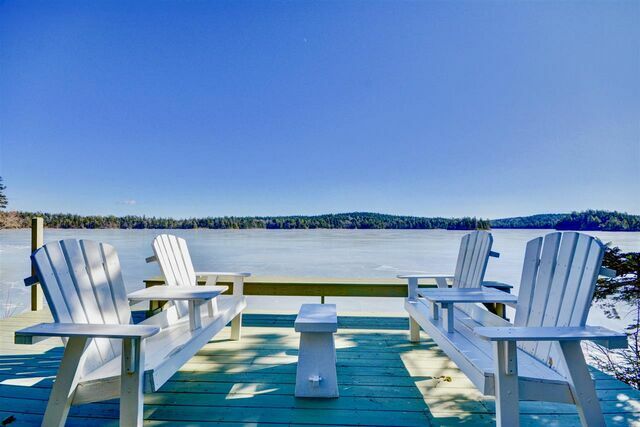 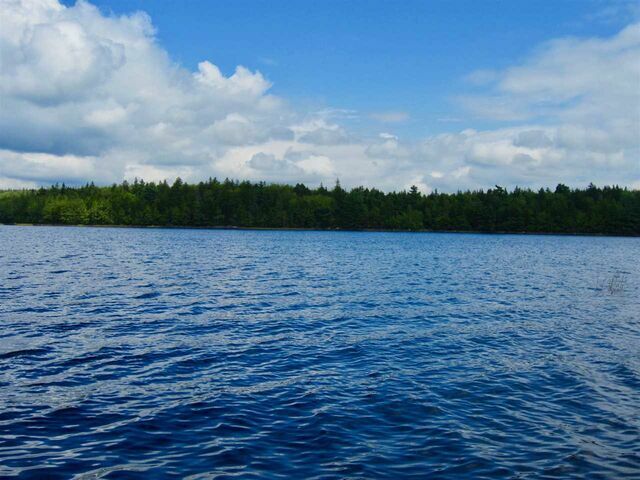 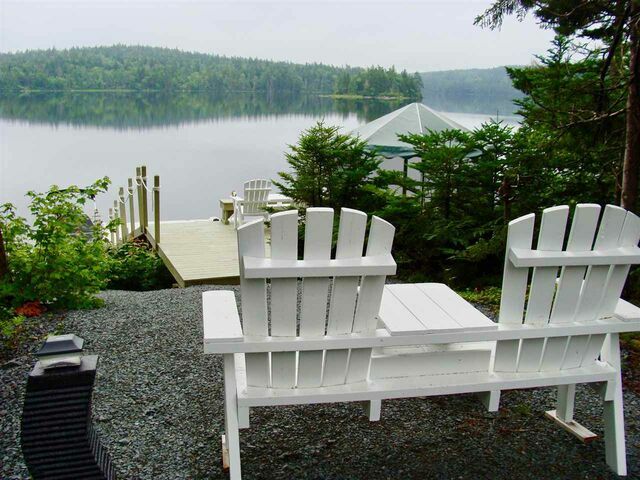 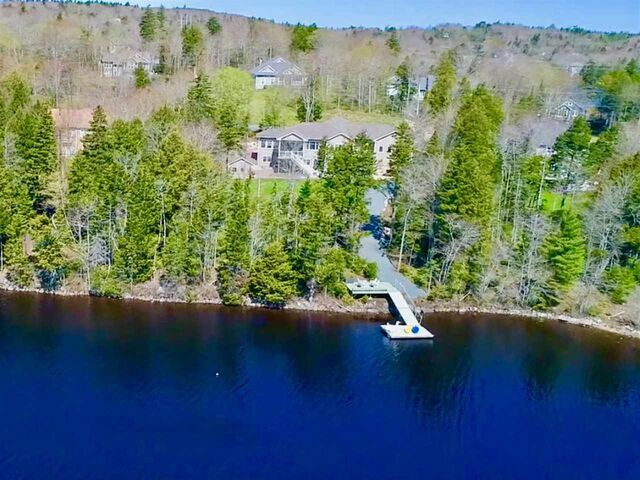 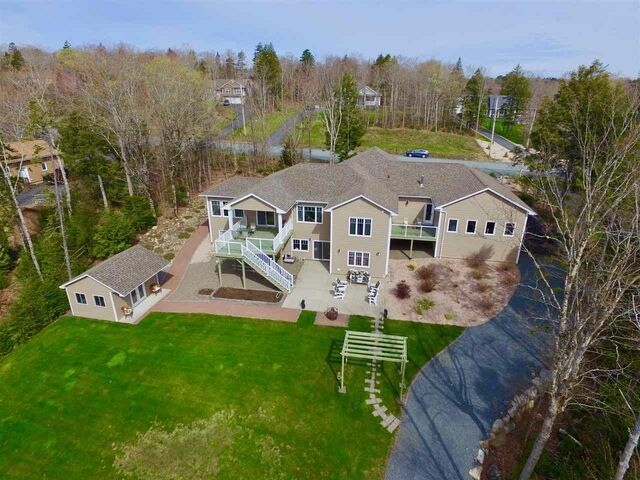 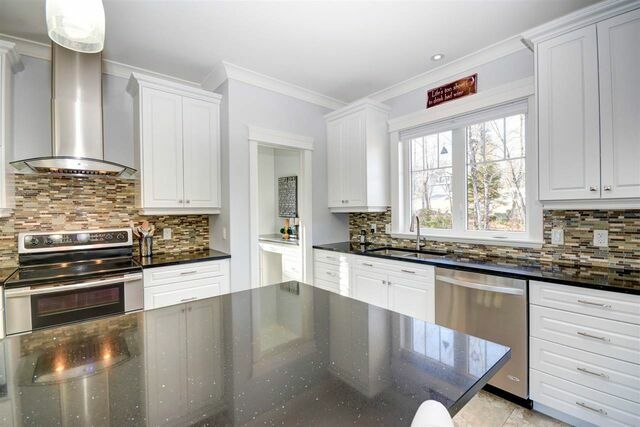 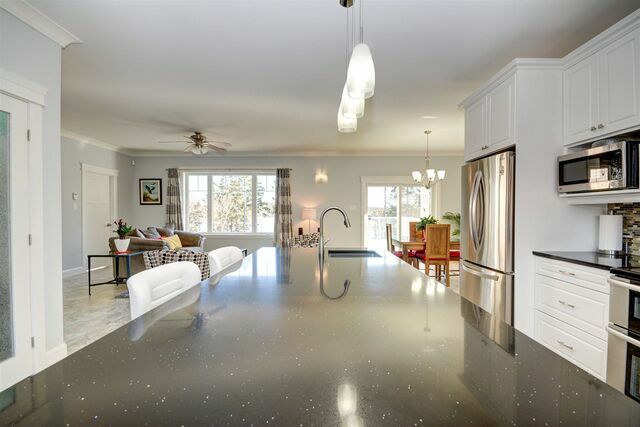 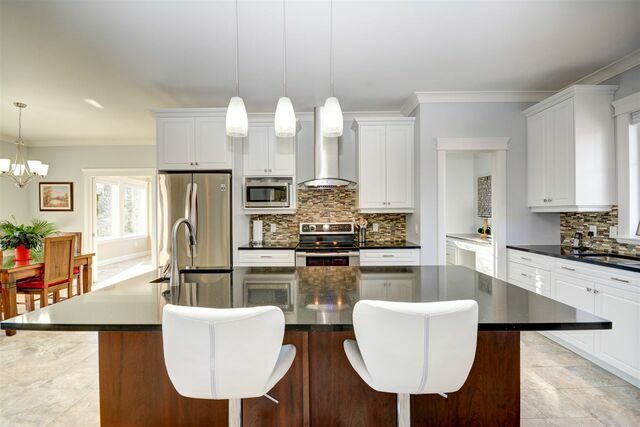 341 Paula Drive, Hammonds Plains (MLS® 201902634 ) Spectacular private lakefront, stunning custom bungalow thoughtfully designed providing the most incredible indoor/outdoor living spaces...a truly unique opportunity to have it all! 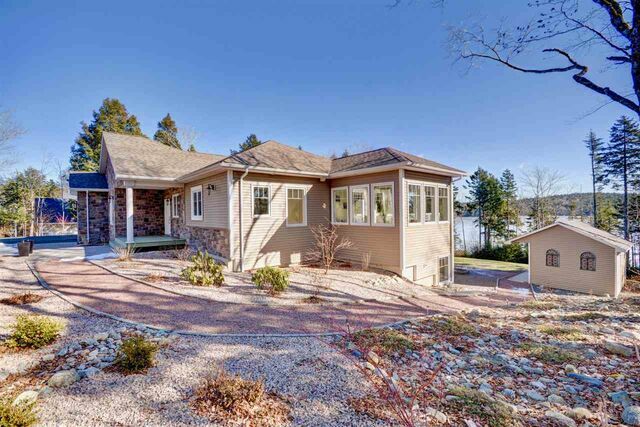 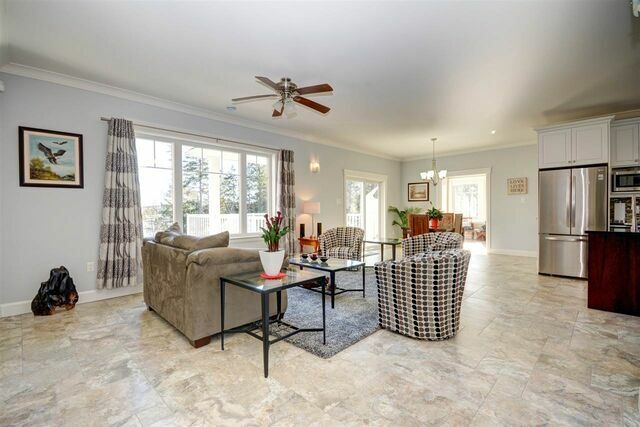 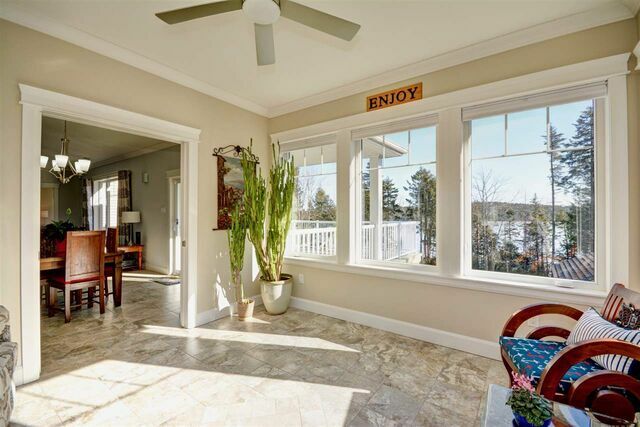 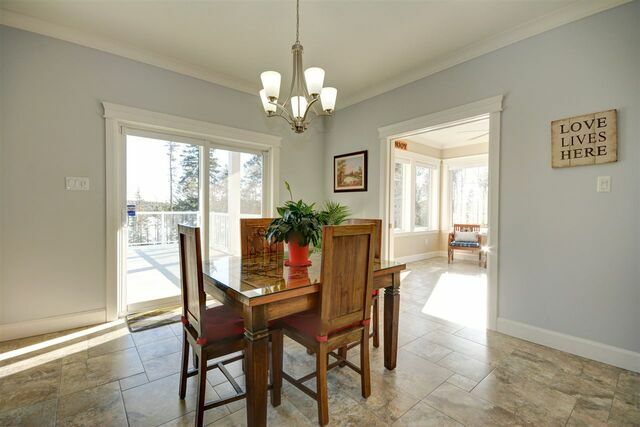 Amazing sight lines welcome you as you enter your open concept bungalow with spacious foyer, beautiful great room, dining space with large glass doors to covered deck, 4 season sunroom completely surrounded with windows for enjoying the expansive lake views year round! 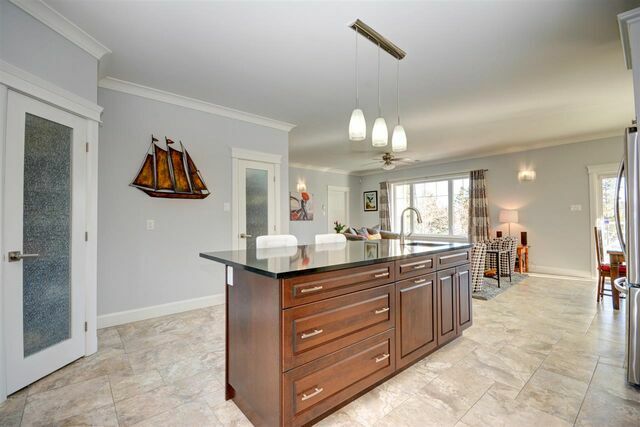 The kitchen will impress with the gorgeous centre island complete with veggie sink and breakfast bar area, 3 pantries with gorgeous custom glass doors-one with counter/work space for small appliances...coffee maker/toaster etc & lots of storage, one for food storage and one for cleaning supplies/brooms etc...lots of beautiful cabinets and gorgeous quartz counters accentuate the great layout of this spacious custom kitchen! 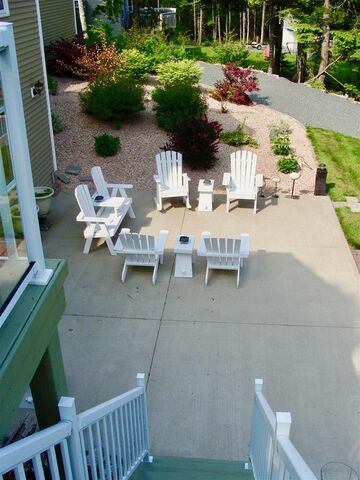 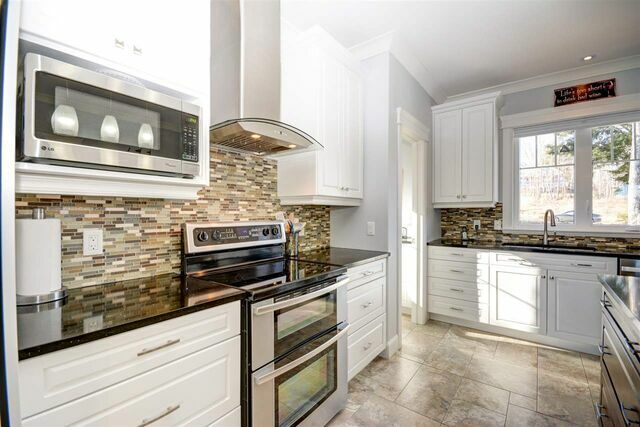 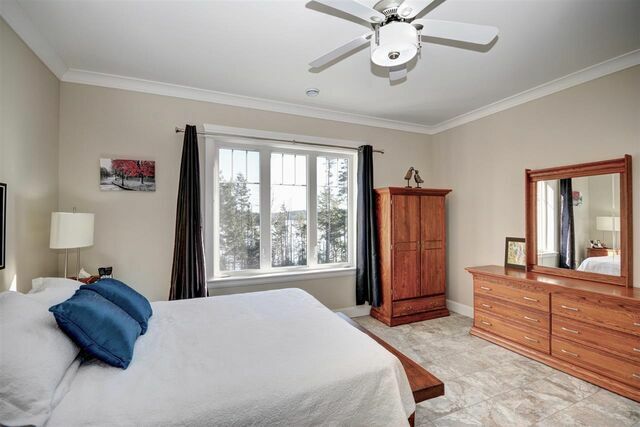 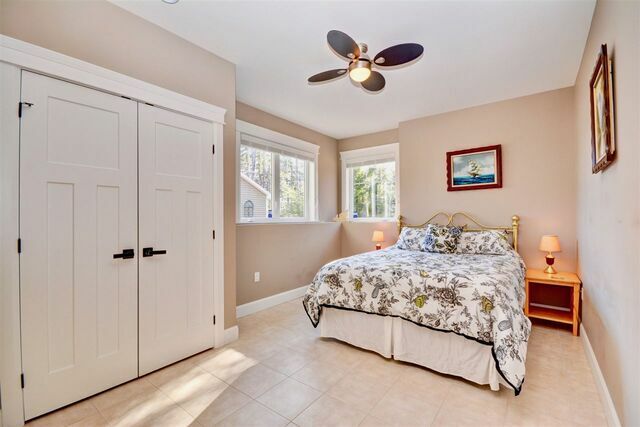 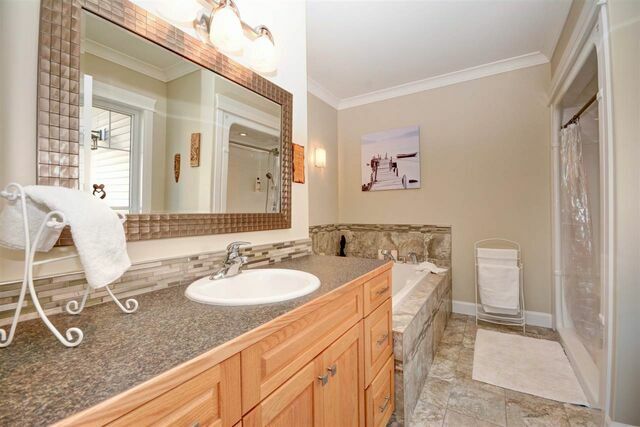 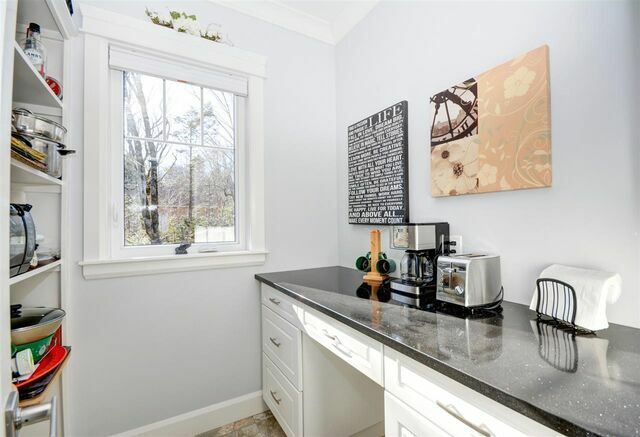 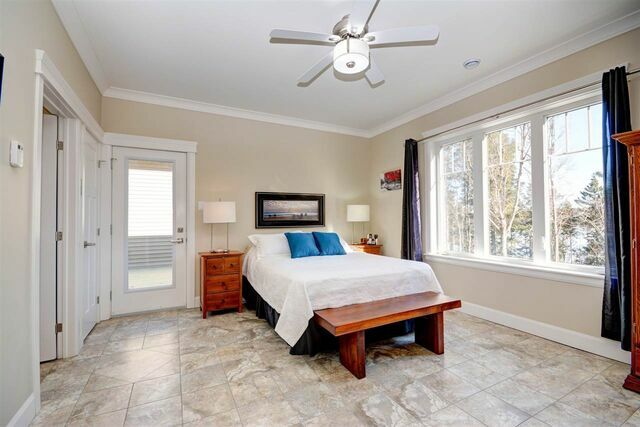 Master suite with great views, private deck, walk-in closet and full ensuite, second bedroom/office/den, laundry, another full bath complete the main level. 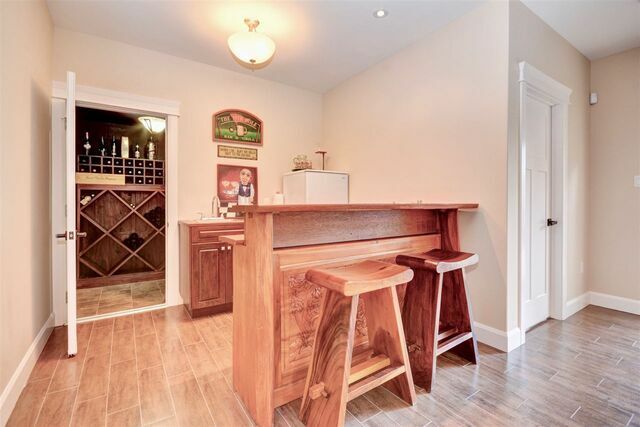 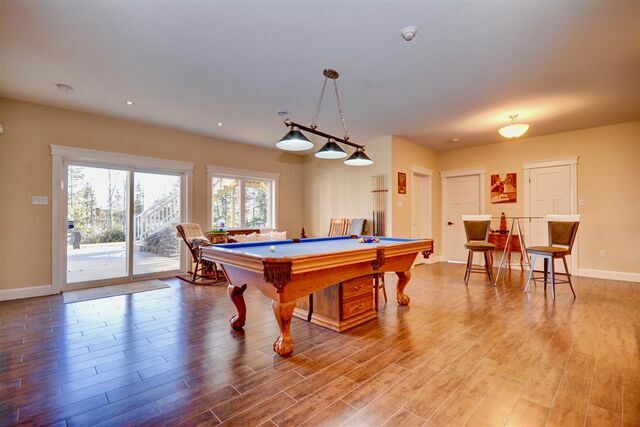 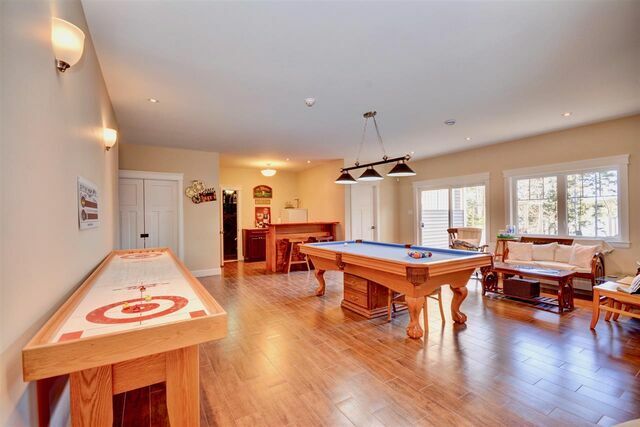 Lower level with huge windows, glass doors to custom patio & amazing outdoor living spaces, private media room, 2 additional bedrooms, full bath, family room with huge games area complete with wet bar & wine cellar. 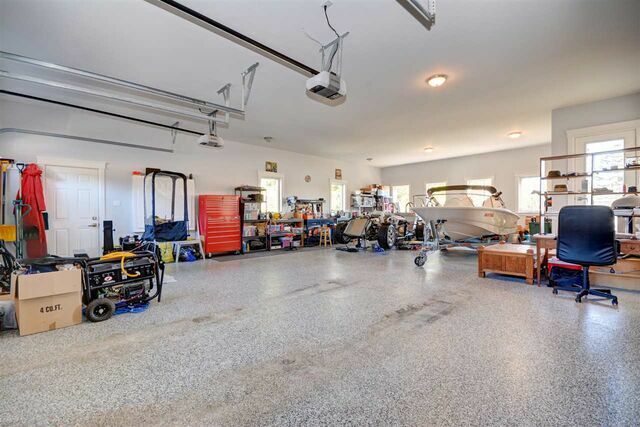 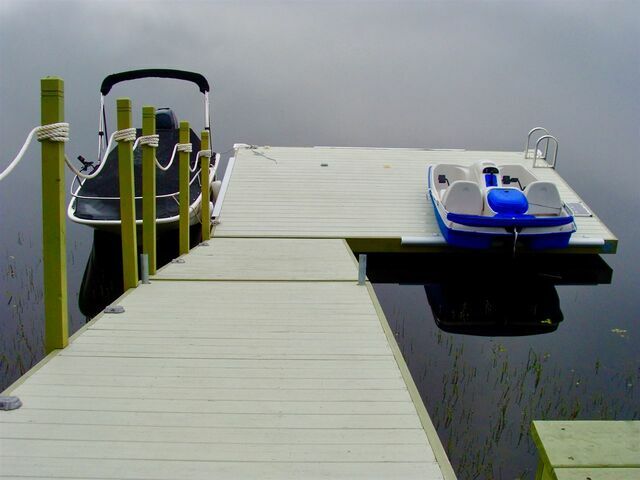 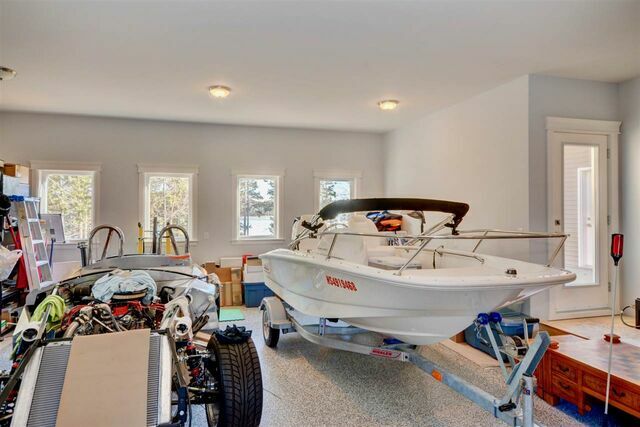 And wait until you see this garage...over 1300 sq ft of space, 3 8ft garage doors lead to 5 bay garage with in-floor heat, epoxy floor finish, bank of windows overlooking lake, glass door to private deck...amazing "manland" & "toy storage" like no other plus additional huge shed! 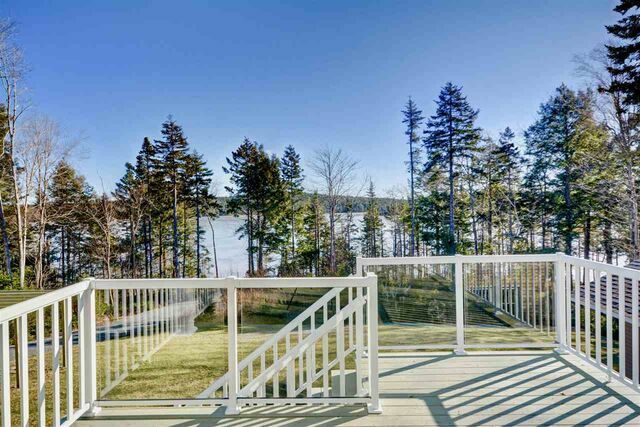 The outdoor living spaces are exceptional...designed to be very low maintenance & provide the ultimate in lakefront living with both covered & open decks, patios, walkways, perennial gardens,gorgoeus lakefront dock & deck...located on a prime(but private) boating lake within minutes to downtown within a fabulous school zone & great neighbourhood...don't miss this incredible opportunity...call now to book your viewing!